The Lakers are looking to fill their open roster spot. 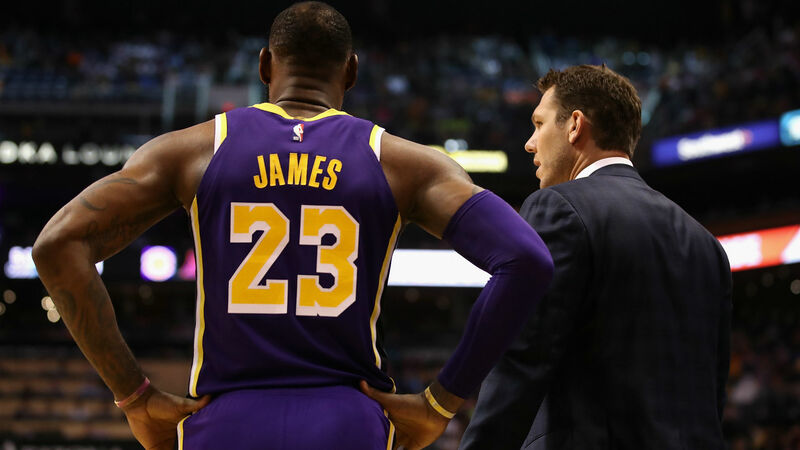 Los Angeles “wouldn’t mind” adding another big man off of the buyout market, according to a report from the Los Angeles Times, which cites unidentified league sources. The Lakers created the open roster spot when they acquired Mike Muscala from the Clippers at the trade deadline in exchange for Michael Beasley and Ivica Zubac. They had reportedly been pursuing Enes Kanter after he was released by the Knicks, but he ultimately signed with the Trail Blazers. Los Angeles has also been linked to Carmelo Anthony, who has not played since agreeing to part ways with the Rockets in mid-November. Players must be waived by Friday in order to maintain playoff eligibility if they sign with another team. The Lakes have struggled recently and will enter their matchup Wednesday against the Pelicans with a 29-31 record. They trail the Spurs by three games for the final playoff spot in the Western Conference. Los Angeles has dropped four of its last five games.